With bright green nature, clear blue skies with friendly locals, along with efficient transportation and developed malls, Toyama (富山) is the perfect place to experience 'real Japan', studying the language with a place rich in culture. Recently refurbished; brand new classrooms with experienced and kind teachers. Convenient location; right across the road from a supermarket, 10 minute walk from the station. Toyama is rich in culture. To name a few: Wood carvings, treasure, Buddhism, glass art, furniture making, cutlery. Same building as a vocational college for Japanese students. 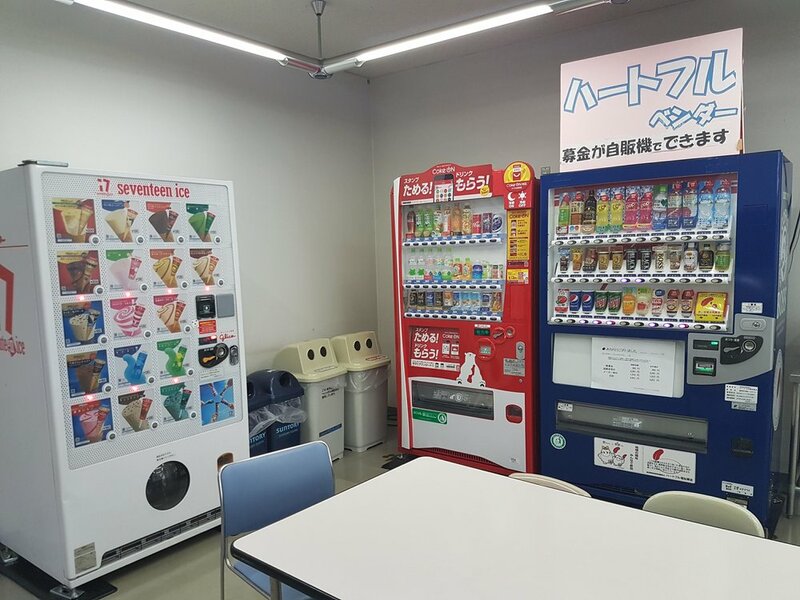 There is a cafeteria where the students can meet and exchange with Japanese students who study (at the vocational college) in the same building! Students can practice speaking with native speakers. 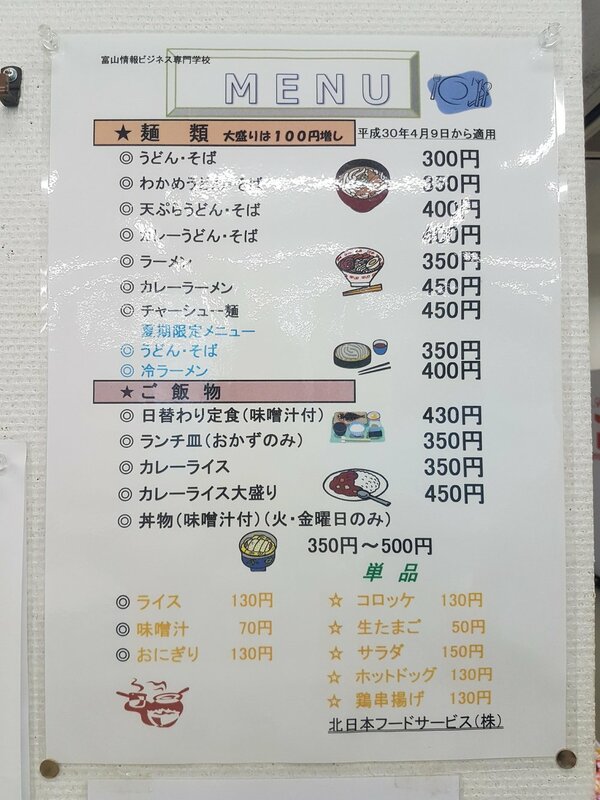 The meals are extremely cheap, with a special 'student price'! (see the menu below; each meal costing less than $5), in a wide open place well lit. There are even couples made at the school between Japanese students and exchange students as you are studying in the same building; you could potentially meet your future partner here and live in the Japanese countryside together! There is almost no need for the school to do part-time job help, as the demand for workers is so high that companies will come to the school to do presentations, to get people to work at their company. Students can get a job straight away, even with no Japanese ability. The school ensures that the company is good, showcasing on bulletin boards. This school is also excellent for a Working Holiday (only available if requirements are met). Students can easily find part-time work even with no Japanese, and can study part-time at the school, picking and choosing the lessons' types and times you like. After language school, students can get into the business course that the school offers. You can learn business manners, accounting, a little Chinese, Korean, marketing, and more. Students have successfully gotten a full-time work visa with just 3 years at their school, no 4 year degree required. 100% Graduate Employment Rate. NO Bachelor’s Degree Needed.